The tragic weekend shootings in Tucson have given me a good lead-in to today’s blog topic: Guns. There are lots of them, and they are everywhere. Legal and illegal, they rest in the hands of competitive sportsmen and -women, the military, the police and gun freaks of all colors. Gangsters have them in their toolbox, and regular folks have them in their desk drawers. And hell, what’s the harm in shooting off a couple of rounds after a miserable day, right? 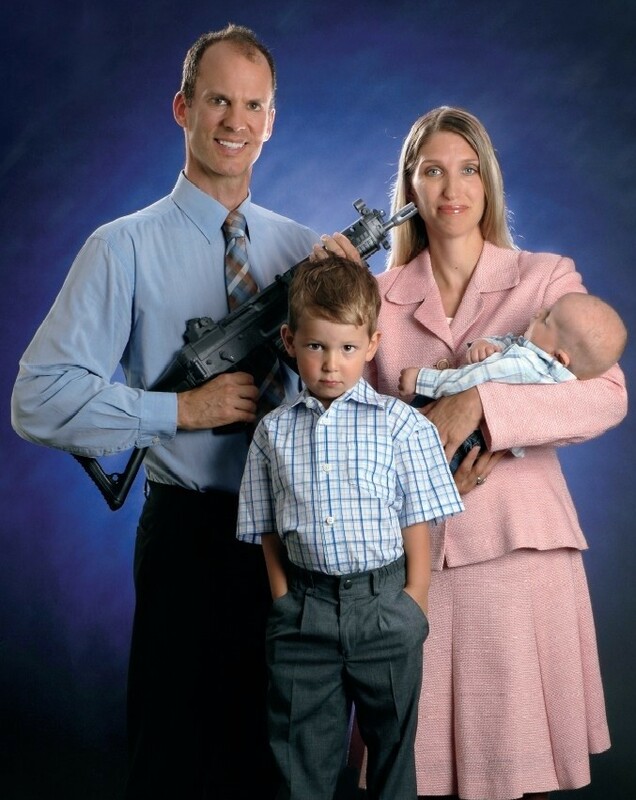 Here in Switzerland, 3,500 miles away and living among peaceful-looking alpine meadows with happy cows, an overly-efficient train network and mostly mild-mannered mountain folk, I only found out quite recently that this country has one of the highest militia gun ownership rates in the world. The Swiss military’s standard-issue automatic weapons are very present in everyday public life, on public transport and in the public consciousness. In Zurich, men carry around their army rifles like women carry around their Louis Vuitton handbags. 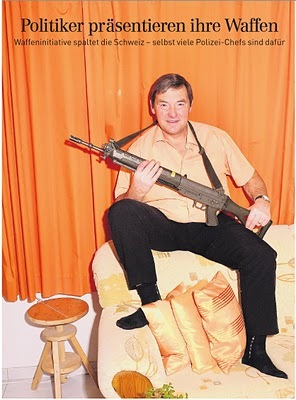 Last Sunday’s newspaper even featured photographs of prominent Swiss politicians sitting on their sofas – in stinky socks, no less – and cradling their firearms. Criticize him for the weapon around his neck or just his God-awful taste in living room furniture? 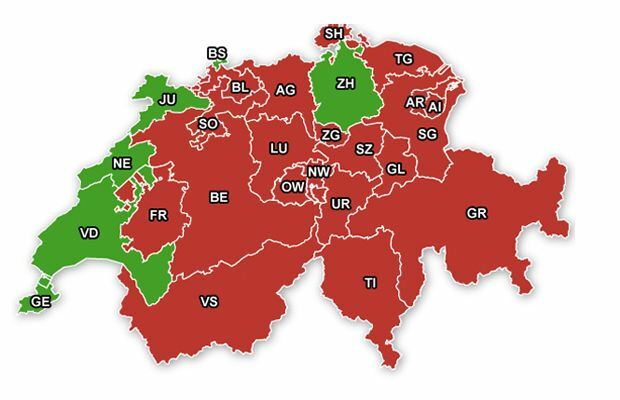 On February 13th the Swiss voters – who are, as we know, professionals at direct democracy – will decide on an initiative that would ban all military weapons from private homes and require them to be stored in a local armory. 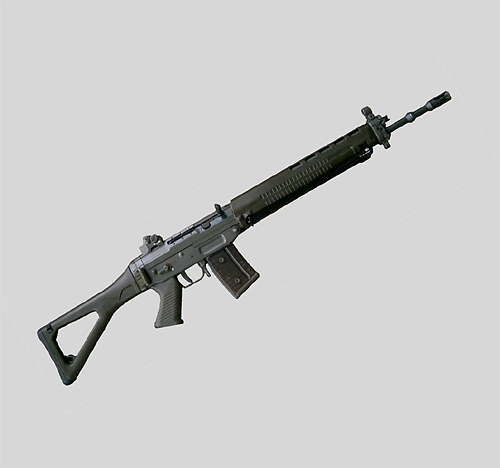 At the moment, more than 420,000 of these automatic weapons (NOT counting firearms that have been privately purchased, you know, for fun) populate closets and attics, sheds and garages across this seemingly gentle, neutral country. Why? Because two generations ago, while Adolf Hitler steamrolled across Europe, the Swiss thought it prudent that its citizen-soldiers keep their guns at home so that in case of an invasion, they could engage in urban warfare and shoot their way to their military unit. Today, 80 years later, this law is still on the books and the majority of these lethal toys still live in private homes. Behind winter coats, under the bed, in on the ski rack – free for any child to pick up and play with, for any adult to threaten (and kill) his spouse with, for any individual to end their own life with. What seemed thoroughly logical and sensible in the 1930’s is equally ludicrous and superfluous today. Especially considering Switzerland has Europe’s highest rate of suicides by firearms, and an alarming number of homicides are committed with army weapons, too. On average, they are responsible for one death every single day. The public debate ahead of the referendum is emotional as it is gruesome. While the supporters of the ban are appealing to simple common sense, the ultra-right wing Swiss nutcases (though they lack a Second Amendment to ride around on) have proven so far they don’t have any. Their irksome habit of fanning the fires of collective panic, claiming law-abiding citizens will be “castrated of their rights” should the initiative pass is getting really old, but may just prove effective in the end. And once again, any virtues of direct democracy aside, I come to the conclusion that sometimes governments have a moral obligation to protect citizens from their own stupidity. When my company transferred me to Zurich in 2004, I was ecstatic. I thought I had hit the jackpot – Switzerland had the reputation of a being clean, safe, neutral little corner of paradise. Year after year, Zurich consistently ranks high up in Mercer’s annual “Quality of Living” Survey as one of the top three “most livable cities in the world”. And he was right for the most part. I eased into society with a few little boo-boos along the way, but really, I couldn’t complain too loudly. The Swiss have perfected the art of, well, being perfect. But over the course of six years, the perfect Swiss have lost a teeny bit of their luster. And I have discovered that while I really do enjoy a very high quality of life here, there are a couple of things that really piss me off. Of course there are many, many worse places on this earth to be. But still. 1) Schwiizertüütsch – If you thought German sounded bad to the untrained ear, well Swiss German is a further bastardization of language. Fortunately, I learned (high) German at home, and was spared the torture of being force-fed “that awful language” (Mark Twain) in a classroom. But when I arrived here, it took me a full year to figure out what people were saying to me. Swiss German sounds like it stepped right out of the middle ages. And the most frustrating thing about it (for a foreigner) is that there is no ONE Swiss German. Every village has its own distinct dialect (i.e. Züritüütsch, Bärntüütsch, Baseltüütsch…). 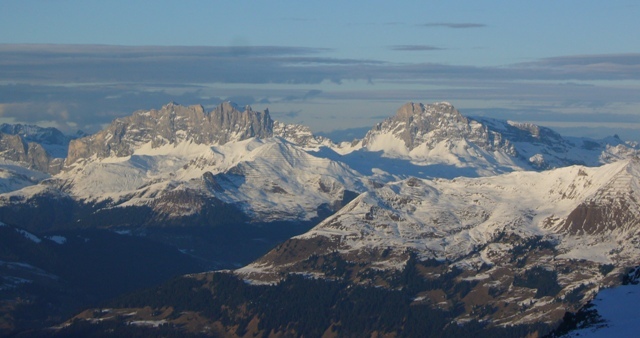 Any Swiss person can determine the origin of any other Swiss person’s dialect within an instant of them uttering their first word. After six years here I’m just happy I can follow a conversation. 3) A love of firearms – At last count, there were 218,000 semi-automatic military assault rifles lying around in attics and closets across this pristine and seemingly peaceful country. After being conscripted into basic training, most young Swiss men must serve in the reserves for several years. His (legal, state-sanctioned) weapon becomes his best friend. In public, on public transportation and at home. And after every accident, suicide or homicide involving a military weapon, there are isolated calls that this insanity must stop. Since the beginning of 2010, reservists have been granted permission to store their weapons at an armory rather than at home for their kids to play with. So far, only 452 individuals (or 0.2 percent) have taken up this offer. Great toy, if it wasn't so lethal. 5) “HANDS OFF MY BANK SECRECY LAWS!” – Ah yes, those gnomes of Zurich, still driving the rest of the world crazy after all these years. Otherwise, it’s a great country. It has to be or else I wouldn’t still live here and I wouldn’t have married one of them. I’ll write about the good stuff some other time.